Don't give up on TV time just because someone's napping on the sofa (or you simply can't agree on what to watch). You don't have to retreat to the bedroom to watch on your tablet, either. A nice set of headphones lets you enjoy watching TV while everyone else enjoys their peace and quiet. But when you grab your headphones, you'll find it hard to relax on the couch when you're tethered to the TV that's only a few feet long. 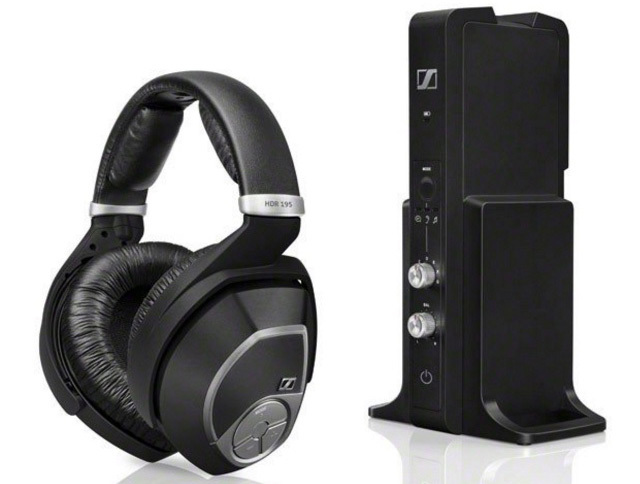 If you can't stand being tethered to the TV, it's time to go headphone shopping. But which headphones should you get, and what do you need to connect them to your television? We run through everything you need to know about wireless listening, plus share our top picks for headphones that deliver exactly what you're looking for. Sennheiser has been a high-end audio brand since 1945, and its RS 195 and RS 165 closed-back, wireless headphones offer top-tier sound quality. The over-ear design reduces background noise to help you focus on what you're watching. The pricier 195 model offers exceptional sound with different modes for speech and music, resulting in sound that comes through crystal clear. Instead of Bluetooth, these headphones use a special Sennheiser transmitter (included) that works from 100 feet (for the RS 165) to 330 feet (for the RS 195) away. The transmitter is as simple to set up as any Bluetooth adapter. Just plug it into your television (or another audio device) via an optical digital audio output or a standard 3.5mm headphone jack or RCA connection. After that, all you have to do is power on your headphones and listen. If you have multiple listeners but weren't particularly excited by the ShareMe headphones discussed above, the RS 165 Sennheiser set works with a second pair of headphones. Pick up a pair of HDR 165s ($108) to add an extra set. Whichever model you choose, the headphones have a battery life of around 18 hours, enough for the longest Netflix binge, and charge wirelessly when you set them on top of the transmitter. Easy! So which model should you get? With the RS 195 model priced at $307, it's definitely not a budget buy, but if you can live without the extra range and sound modes, the 165 model offers solid quality for a more modest $150. If you're playing games rather than just listen, you'll need a pair of comfortable headphones including a good microphone to let you coordinate with fellow gamers. That can be a tough combination to find without any wires, especially if you're looking for something at an affordable price point, but the LucidSound LS31 fits the bill. The LS31 has padded headband memory foam ear cups for comfort. Simple control buttons are located right on the ear cup, including separate volume controls for game volume and chat volume. The removable boom microphone produces good voice chat quality. The LS31 offers a solid 15 hours of battery life. 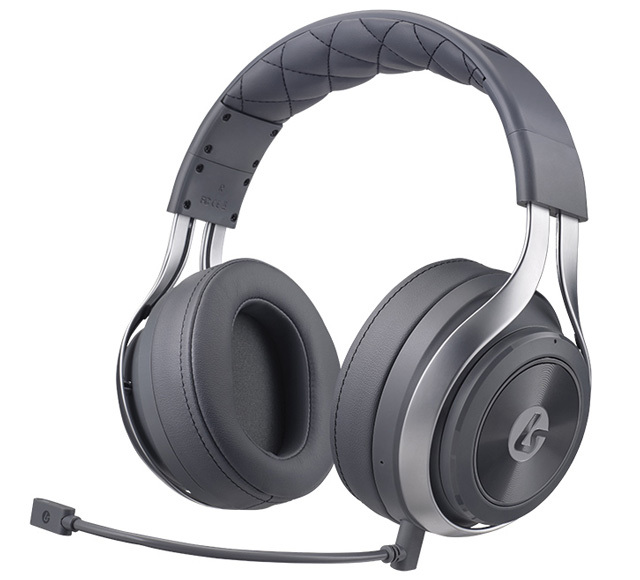 The headset is designed to work wirelessly with Xbox One and PlayStation 4 consoles; the Xbox One does require a sound cable that runs from your headphones to your controller in order to chat. [Note that Xbox One and PlayStation 4 controllers all have built-in headphone jacks, so you can plug in wired headphones.] While these headphones are designed with console gaming in mind, they'll do just as well when paired with your PC. If you want to keep things under $50, your options are relatively limited. Your best option may be to use any Bluetooth headphones you have, because you won't find anything wireless with a good boom mic for much less than $100. If you have a Bluetooth headset for your smartphone that's also supported by your console, you'll do just fine and save some cash. Some newer smart TVs have Bluetooth built in, which allows you to pair any standard Bluetooth headphones with your television — no muss, no fuss. However, there's a good chance your television isn't Bluetooth-ready, in which case you'll need an adapter. The adapter connects to your television audio input and then transmits the sound via Bluetooth to your headphones. The typical range is 30 feet or more. The Avantree Bluetooth Audio Adapter TC417 connects to your television via a standard headphone jack (3.5mm audio cable), optical or an RCA jack. And since it supports aptX Low Latency, there's minimal lip-sync delay. Connect two pairs of Bluetooth headphones at once, and adjust the audio volume with your headphones or the TV remote. The TC417 also has a built-in battery, which lasts for 20 hours before it needs a charge. 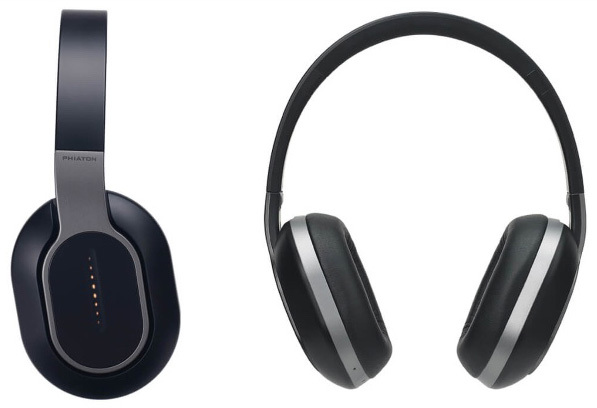 If you don't already have a pair of Bluetooth headphones to use with your newly Bluetooth-enabled TV, check out the budget-friendly options on our list of the best Bluetooth headphones under $50. All in all, using an adapter with the headphones you have, or buying an inexpensive new set of headphones, is the most economical way to add wireless listening to your television. If you're looking to catch up on your favorite show with a friend but don't want to fill the room with sound, your best bet is a set of ShareMe headphones. ShareMe isn't actually a specific model of headphone but a type of technology used to let headphones share a single sound source without any tangled wires. A pair of ShareMe headphones connects to each other wirelessly and plays the exact same sound on both. We like the Phiaton BT 460 headphones, which are Bluetooth but also come with a cable if you want to plug them in. They produce solid sound and boast great battery life — up to 20 hours. The Phiaton BT 460 headphones have good sound and a sleek interface, controlled by tapping the headphone ear cup. With with pair of sharing-friendly headphones, you'll still need a way to connect them to your television. If you don't have a TV with built-in Bluetooth, you’ll need a Bluetooth adapter (see above). If you already have a Roku, you may already have a mostly wireless listening setup, depending on which Roku you own. Certain models feature a remote with a built-in headphone jack to solve just this problem. 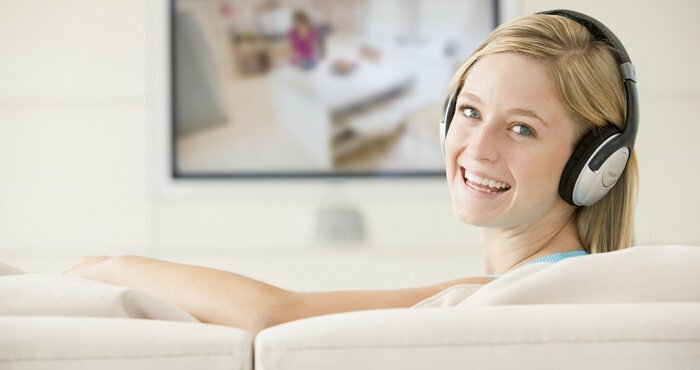 By plugging in an ordinary pair of headphones, you can watch TV without bothering the rest of the family. It's not exactly wireless — there's still a cable running from your headphones to the remote — but you still get the freedom to watch from whatever seat you like. The beauty of this plan is its low cost. Even if you don't own a Roku, this solution saves you from buying anything else, and it won't break your budget. Don't forget: the Roku is among our favorite streaming media players. Thoughtful features like the remote headphone jack, which you won't find on any other player, are one of the reasons why. If you're in the market for a new streaming media player, the Roku Ultra includes a remote with a headphone jack, or you can buy the Roku Enhanced Voice Remote ($29.99 on Roku) separately for certain Roku models. unisom system,infrared reader,over the ear padded headphones,less than 40.00**i have had mine +extra headphone for 2 years.highly recommend these. In case if you have a music player or a gadget to play, the headphones are a good companion to keep by your side. Perhaps, if you relax at home very often, you can use to connect to your home theatre system, or a PC for gaming or watching movies. So for a comfortable and cheap range may have to do some research to buy the best headphones out on the market. 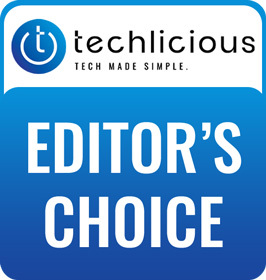 Go through reviews over the internet, http://www.soundmagic.us/index.php/product-category/headphones/, and perhaps find your new great pair of headphones. This article contains incorrect information that ruined a Christmas gift. The adapter does not transmit, it only receives. It does not pair with headphones. Did the author even use the adapter? She couldn’t have. Ridiculous. So sorry to hear that our error resulted in a failed Christmas present! 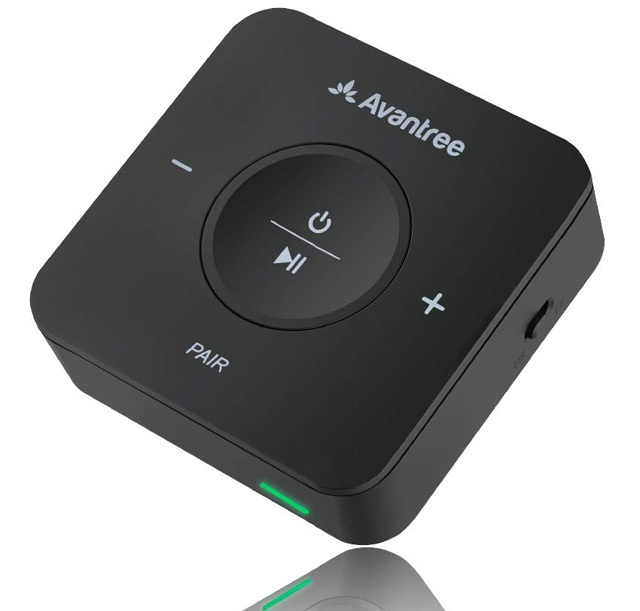 The product that will connect headphones via Bluetooth to your TV is the Avantree aptX LOW LATENCY Bluetooth 4.2 Transmitter for TV PC. And thank you for bringing it to our attention. Way to ruin Christmas. Psshhhhh…..
nice products. Will purchase one. Just got a new smart tv and new soundbar, neither have a way for me to hhok up my seinhauser headset that uses rca connect…anyone know how I can do this? I would be surprised if the TV doesn’t have the 3.5mm audio out. As a person with a hearing loss, I find that there is a slight lag in the audio, which makes using the wireless headphones while the TV is playing normally for another person in the room a little difficult. Have any of the systems you tested perform without the lag? The Sennheiser headphones will have the least delay, they’re clocked at around 2 milliseconds. For Bluetooth, the best you’ll do is around 30 milliseconds, with products that support aptX Low Latency, like the Avantree. What is your set up, so you can have the TV playing normally plus headphones? I use a Radio Shack Bluetooth transmitter connected to the cable box audio output and Skull Candy Bluetooth headphones. Is there a way for one person to listen to the tv through headphones while other people are listening through the AV receiver? If you had a splitter that took the analog output from your TV (like this one: https://amzn.to/2BNroLB), you could hook up both your receiver and headphones (or a headphones transmitter, like the Sennheiser above). I connected a Bluetooth speaker to a non-bluetooth tv by connecting the audio out from the tv to the audio in of the speaker using a 3.5 mm male-male cable. I then connected my phone to the speaker via Bluetooth and listened to the audio through headphones connected to the phone. I accomplished this once but have not been able to replicate. Was the first time a fluke incident or should this theoretically work? Any suggestions would be great. Maybe I’m missing a potential method, but I can’t imagine how you got your Bluetooth speaker to output sound to your phone. While it’s certainly theoretically possible, that just isn’t how Bluetooth speakers are set up to work. Perhaps you were playing music on your phone through an app that let you both cast to the speaker and listen on your device? No, it was definitely playing the audio from the tv show i was watching. I was hoping this method would work so I didn’t have to buy a separate device to listen to the tv through wireless headphones. Thanks for the quick response. What model TV and speaker do you have? Do you have a smart TV? Do you remember what device and channel you were using to watch content (cable box, Roku, etc., Where you watching Netflix, Amazon, etc.)? Give me some more details and I’ll research this more. I have a TCL smart tv with Roku. At the time I was able to get the aforementioned scenario to work I was watching television using an antenna. I can use the Roku “private listening” feature only when streaming but not while using the antenna or dvd/blueray player. This is why I’m trying to find a work around. The tv is a tcl 49S403. The speaker is a Sony SRS-X55. I can not figure out how to listen to a show on head phones from my blueray player. I have a Roku so I can listen to tv on headphones through my Roku. I had a real long cord that I plugged into my headphones and I plugged it into every hole I could find but it didn’t work. Probably something simple that I am not seeing.